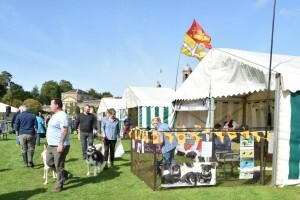 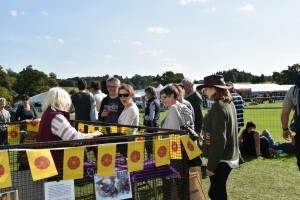 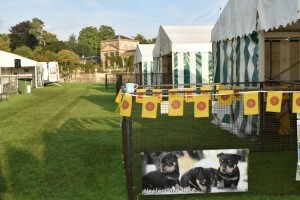 We attended the Wiltshire Game Fair again which takes place in the beautiful grounds of Bowood House, Calne. 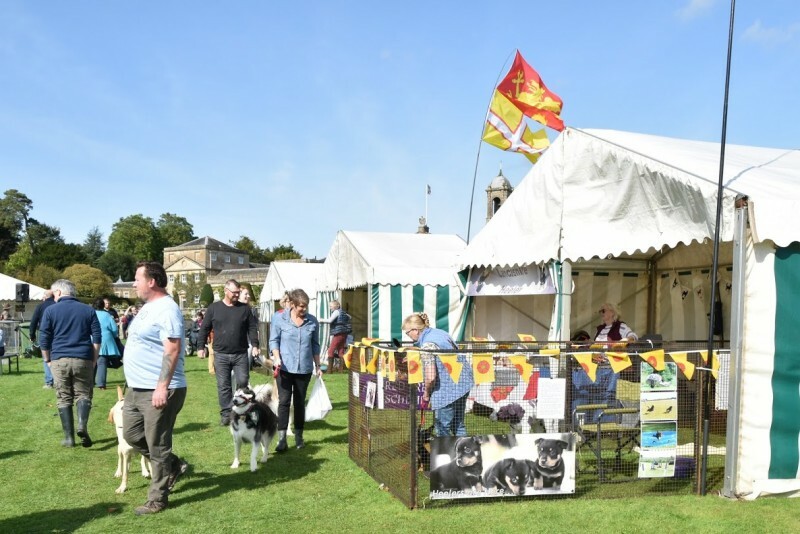 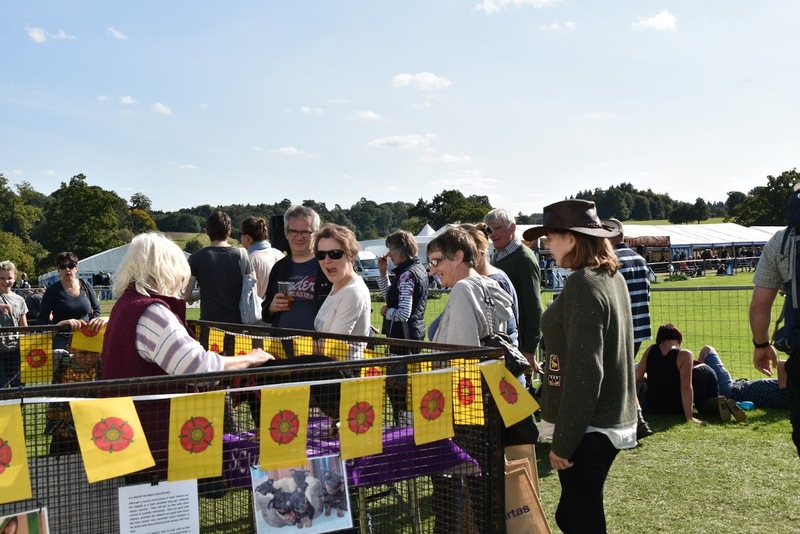 We have our own marquee within The World of Dogs area and enjoy meeting members of the public and chatting about Heelers all weekend! 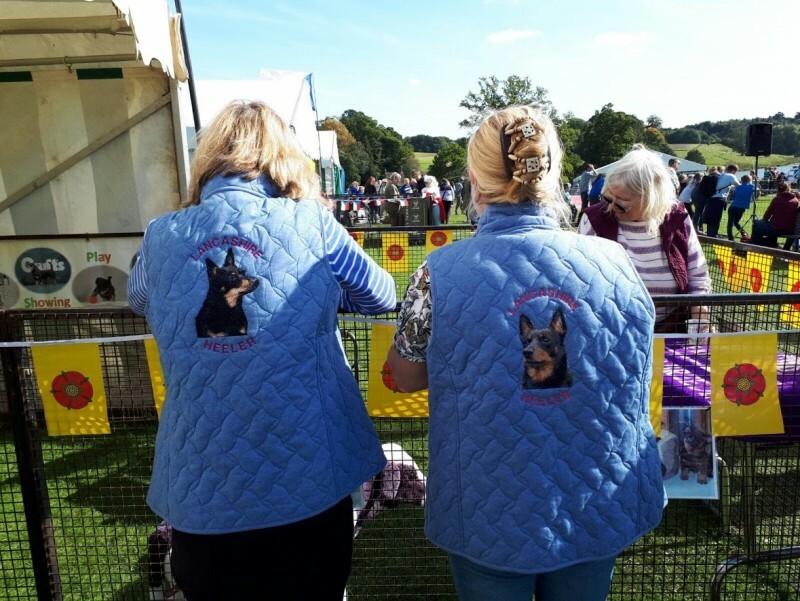 We love to have other Heeler owners or dog lovers coming to help us and can offer unlimited teas and coffees, biscuits, cake, etc plus free entry and parking to the event. 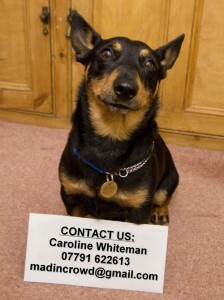 It was a family event this September with a reunion of Pickle & Mouse’s first litter all doing their bit for the breed! 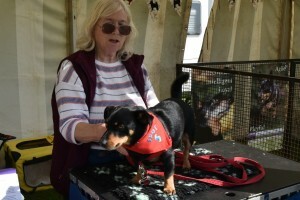 Lynn and Charlie who own Mouse and son Boris joined us in their caravan and Sandra brought Spot along for the day. 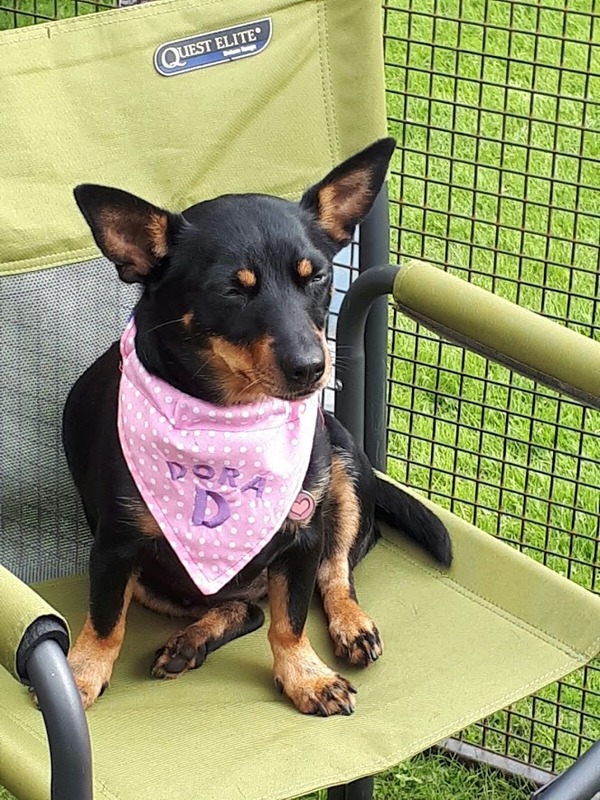 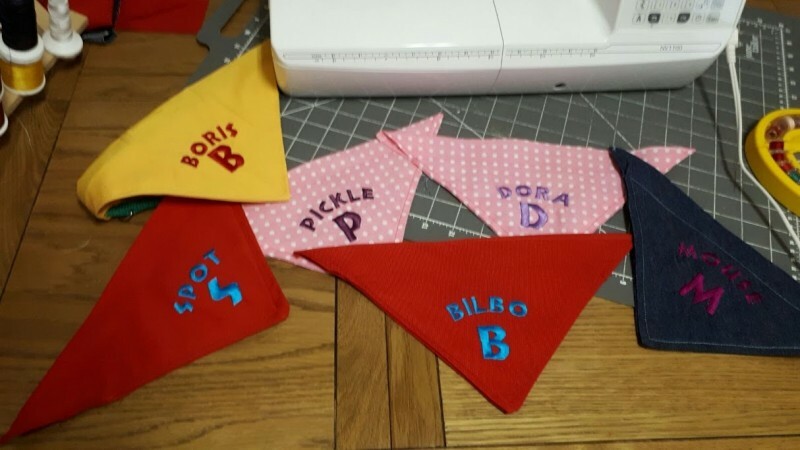 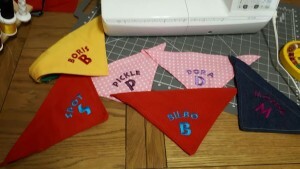 Lynn had embroidered a bandana for each dog and also amazing gilets for us with the dogs embroidered on the back – she is happy to take orders! Mouse getting ready to meet and greet! 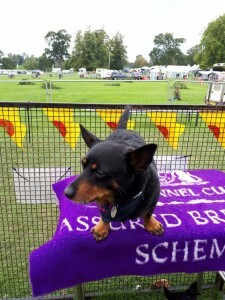 Its been a hard day entertaining the public!